Following the exciting debut of Taking It to the Schools: Community Experiences in Fine Arts last summer, the Arkansas Department of Education, the Arkansas Arts Council, and Arkansans for the Arts have again partnered to create a second series of this popular professional development opportunity. Teachers, teaching artists, and community arts participants attended one-day trainings in the summer of 2017 which focused on the potential collaborations between school arts programs and community arts organizations. 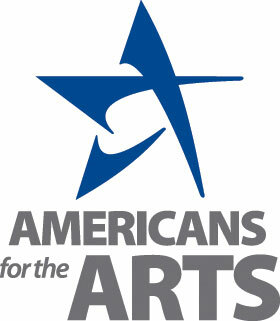 These trainings were hosted by galleries, theatres, museums, studios, and music venues across the state. They were co-presented by a classroom teacher and a teaching artist. Participants took away a series of instructional modules developed by the team of trainers. These modules provided arts educators with rich resources that are specific to the artistic discipline and aligned to the Arkansas Fine Arts Curriculum Framework. The modules can be used as the basis for a unit of instruction or a residency unit at in-school or out-of-school arts programs. A total of eighteen workshops were offered, each focused on the strengths of the teaching artist and host arts organization. Such workshops included Making a Musical Quilt, You are Revealed: Personal Transformation through Mask Making, Movement and Memory: Making Personal Connections through Weaving, Making Old Stories Come Alive, and Got the Moves, Got the Blues. A huge thank you to all partner organizations, artists, and teachers for contributing their time and talent this summer. Workshops like these help strengthen the quality and quantity of arts education and the use of arts across the curriculum. Our students all across the state are the true beneficiaries of your work!